One of the great delights of being a writer is being asked to speak to writers' groups. I am the product of a writers' group, and really believe in the value of sharing your craft, your hopes and your anxieties with a group of like-minded friends, as well as sharing reviews on books that have inspired and helped you. A couple of months ago I had the privilege of being invited to address the Marrickville Writers Group which meets at Marrickville library. They were an interested and engaged bunch of people, and I was delighted to read Richard Luke's report on my talk in their June newsletter. 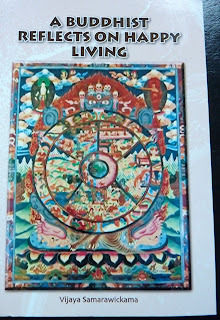 With his permission I am reproducing it here for you in the hope that you might get some ideas and inspiration from it. Thank you Richard! Author WalterMason gave insights into the writing craft at the Marrickville Writer’s Group meeting at Marrickville Library on June 30, 2012. He highlighted how a notebook can prove such an invaluable tool. “You must capture those spontaneous, creative thoughts which flash up anywhere and anytime,” he says. “When I wrote my book ‘Destination Saigon’, I had written 90,000 words for the publisher after only going through one-third of my thoughts and ideas listed and colour-coded in the notebook." 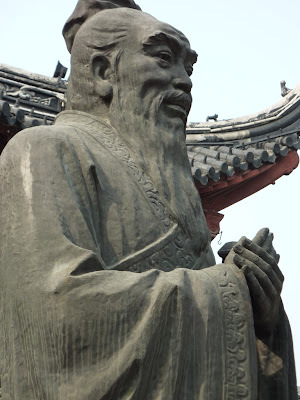 Walter used an interactive workshop approach to drive home his teaching maxims. 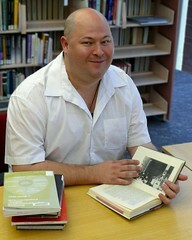 Walter said that similar exercises with another writer’s group helped improve his writing style. “I was able to develop a light-hearted style to ‘Destination Saigon’ which the critics seemed to love. Walter says, typically, he writes from 7am to 10am daily and maintains this discipline whether he’s experiencing high, low or even zero productivity. In exciting news, I will be working as a bookseller again - but just for a day! As part of the celebrations for National Bookshop Day, I will be working my little heart out at Pages & Pages Bookshop in Mosman. On Saturday August 11 I will be behind the counter selling you your favourite books from 3:15 - 4 pm. Oh, and if you happen to come along and buy a copy of my book Destination Saigon, $1 from every copy sold will go to the Indigenous Literacy Foundation. It's going to be a star-studded day, and a lot of fun. So start collecting that list of books you want to buy and come along and see me and get shopping. Buy some new books, buy some old favourites, but join us in celebration of the bookshop, that most beloved of institutions. 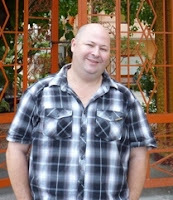 Walter Mason is the author of the bestselling Destination Saigon. In a special event Walter will talk about travel writing and writing the spiritual. Walter’s first book Destination Saigon (Allen & Unwin) is a funny, touching and truly unique journey through contemporary Vietnam. Named one of the ten best travel books of 2010 by the Sydney Morning Herald. He will be joined by special guests Rosamund Burton and Lisa Hanrahan. 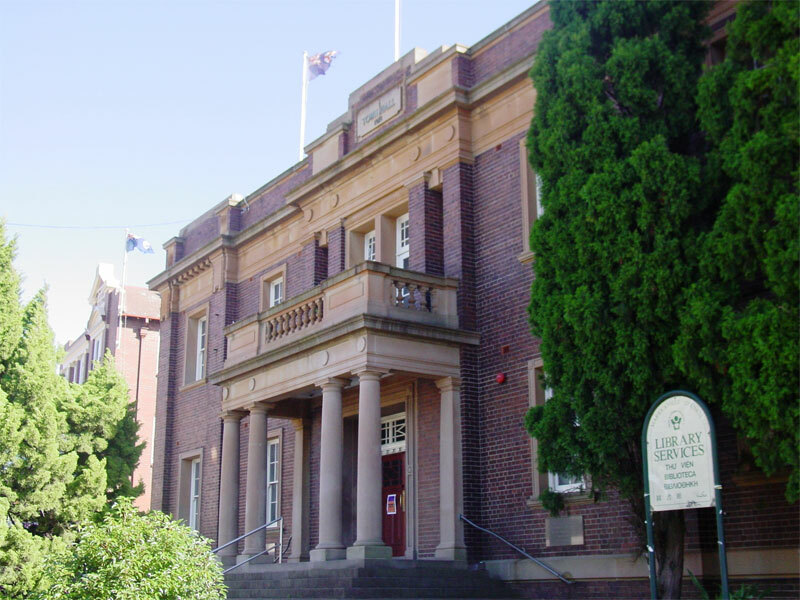 Talking Writing is FREE for members of the NSW Writers’ Centre to become a member of the Centre click here. If you are not a member but would like to book a ticket (only $10), you can do so if you click here. Join Walter, Rosamund and Lisa as they discuss the market for inspirational writing, who writes it and why it is published. Rosamund Burton is the author of Castles, Follies & Four-Leaf Clovers, a travel memoir about following St. Declan's Way, a little-known pilgrim path in Ireland. You can read more about Rosamund and order her book here. Lisa Hanrahan is the founder and director of Rockpool Publishing, an exciting Australian-owned publisher specialising in mind-body-spirit, parenting, health and general non-fiction. 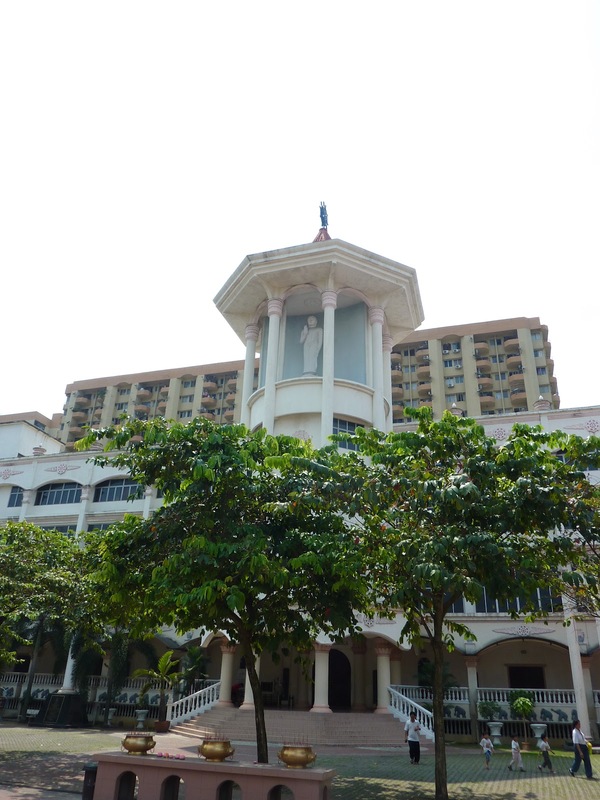 In a strange moment of synchronicity I recently spent some time at a Jesuit institution, where I was reminded of the fascinating spiritual exercises of St. Ignatius of Loyola. As I left the gates of that institution I popped in my headphones and tuned into Rachael Kohn's The Spirit of Things podcast, and what should be on but a fascinating segment on Moira Rayner, previous director of the London Childrens' Rights Commission, talking about her engagement with the Ignatian spiritual exercises. 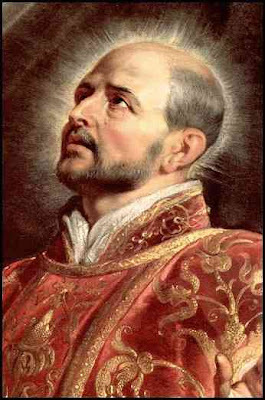 I have been long fascinated by the figure of St. Ignatius of Loyola and the enigmatic religious order he founded. When I was a child I was a great reader of historical fiction, and the Jesuits would regularly pop up as shadowy figures, frequently villains. I was desperate to discover what a Jesuit actually was, but my thoroughly Protestant family was incapable of explaining. My grandfather told me that they were simply, "wicked, plotting priests," a description which captures perfectly their depiction in popular English literature. I couldn't know then that the Jesuits would enter my life again as a young adult. 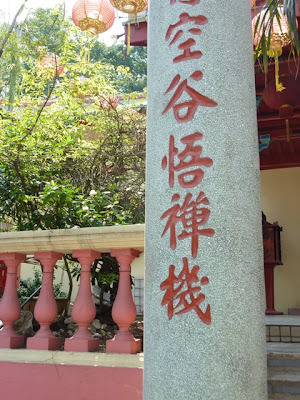 A Vietnamese partner and long study of Vietnamese history brought me the knowledge of the Jesuit missionary Alexandre de Rhodes, the man who romanised the Vietnamese language. And soon after that I picked up a book written by a man charting the spiritual growth of his widowed father who, after following the spiritual exercises of St. Ignatius, makes the decision to become a Trappist monk (I can't remember the name of this book, and I no longer have it - would be interested if anyone out there knows the one I mean). "Pope Pius XI declared him [St. Ignatius] patron of retreats and spiritual exercises...His Spiritual Exercises have had a vast influence on succeeding generations, among Protestants as well as Catholics, and are still widely read today." 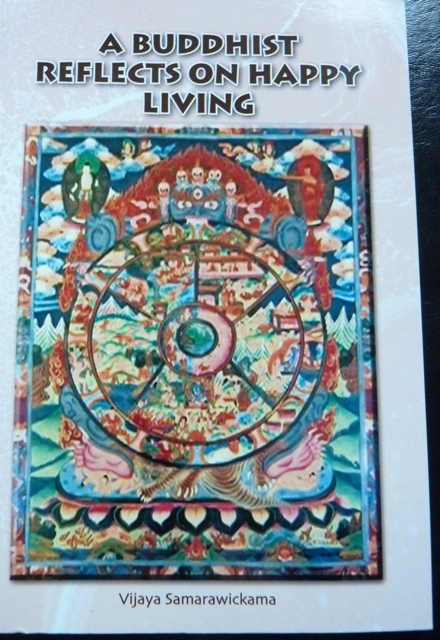 In The Spirit of Things occasional series called My Spiritual Diary, Australian lawyer and public figure Moira Rayner describes her engagement with these exercises and how they have caused a deepening of her spiritual life along with a lightening of her compulsive and busy nature. As someone who, in her youth, had been radically atheistic, Rayner's spirtual journey as an adult began with a flirtation with Bhagwan Shree Rajneesh and his Orange People, a wonderfully 80s rite of passage. But these days she is quite seriously pursuing the Ignatian spiritual exercises, and has completed them. 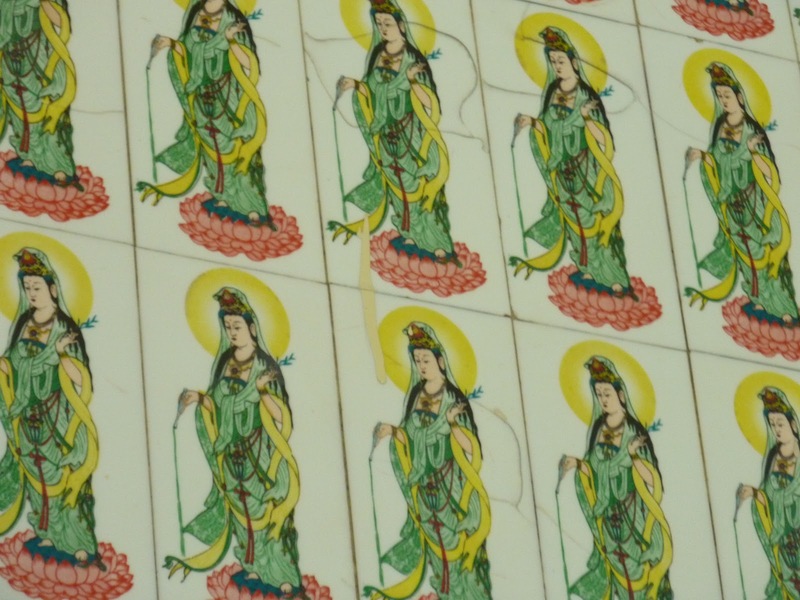 Now she helps others to follow them, and she describes being "humbled" by these antique spiritual exercises. 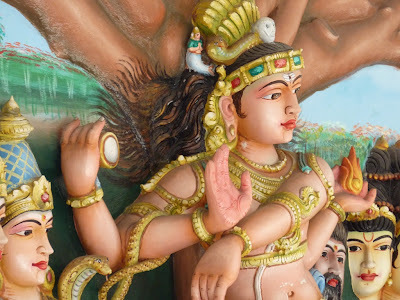 The exercises, which she discovered by chance at a low period in her life where she felt the need to return to some kind of spirituality, have transformed her and convinced her that, "we are held by an embracing something." A beautiful descrition of a modern metaphysical understanding shaped by a religious system devised in the sixteenth century. Agent Orange Justice's Beautiful Art for Innocent Children exhibition starts on August 7 at the Mori Gallery in Sydney. The exhibition is in aid of the innocent children being born now in Vietnam as a consequence of Agent Orange/dioxin remaining in the soil and in the genetic make-up. Australian-Vietnamese, Vietnamese and Australian artists, cartoonists and photographers have donated beautiful contemporary artwork for the exhibition. Australian-Vietnamese, Vietnamese and Australian artists, cartoonists and photographers have donated beautiful contemporary artwork for the exhibition. They include a Dobell Prize winner, an Archibald finalist and artists represented in state and national galleries and international collections. The artists include Suzanne Archer, Ray Beattie, Zanny Begg, Robert Carter, Elizabeth Cummings, Carol Dance, Nguyen Nghia Cuong, Carleen Devine, Vuong Trong Duc, Bonita Ely, Rod Emmerson, Wayne Fleming, George Gittoes, Nguyen The Hung, Dominic Nguyen Hong Golding, Pamela Griffith, Kevin Hegarty, Nguyen Hien, Johanna Hildebrandt, Astra Howard, Dot Kolentsis, Nguyen Thi Chinh Le, Geoff Levitus, Eric Lobbecke, Carlie Lopez, Nerine Martini, Euan Macleod, Khue Nguyen, Mai Nguyen-Long, Torbjorn Lundmark, Kelly Manning, Alan Moir, Reg Mombassa, Susan Norrie, Bruce Petty, Hoai Thanh Pham, Nguyen Nghia Phuong, Phi Phi Oanh, Peter O'Doherty, Sue Pedley, Larry Pickering, David Pope, Ambrose Reisch, Erik Royds, Van Rudd, Feyona van Stom, Nik Scott, Wendy Sharpe, My Le Thi, Mark Tippett, Sophie Verrechia, Fiona White. The exhibit includes Hoai Thanh Pham's famous photographs of Vietnamese child victims plus contemporary art from 20 Vietnamese artists. This beautiful affordable art will be auctioned. Come to find out about Agent Orange. Come to show your support for the innocent child victims. Directions to Mori Gallery, 168 Day Street, Sydney: Town Hall station; Day Street is one block west of Sussex, just north of Chinatown near Trades Hall, between Bathurst and Liverpool; closest parking station is 521 Kent St. Sometimes you end up at the wrong place, but it ends up being totally the right place. 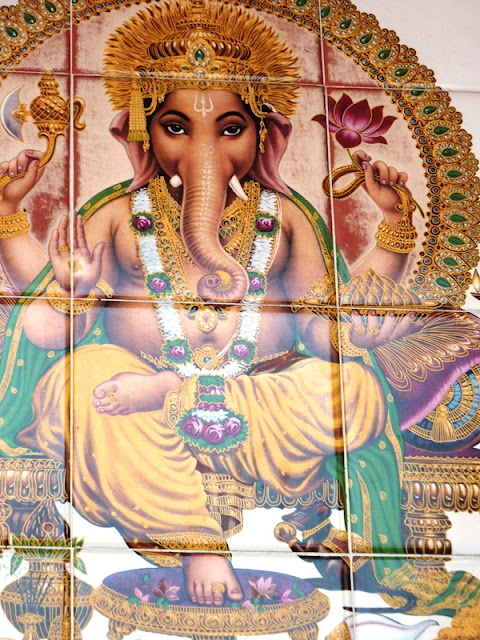 While zooming around Kuala Lumpur in a taxi, we were constantly driving past a big and busy Hindu temple that was being renovated. It was never the right time to stop and have a look, but one morning I decided the time had come. I consulted my trusty map and found where it was and gave the taxi driver careful directions. But this taxi driver had other plans, and instead he dropped us outside the Mariamman Temple on Jalan Tun H. S. Lee. And this little temple turned out to be one of the most enchanting places we visited. We had to leave our shoes at a kiosk outside, the man behind the counter putting them into a plastic basket and handing us a number. Once inside the place was crowded, but cool and quiet. 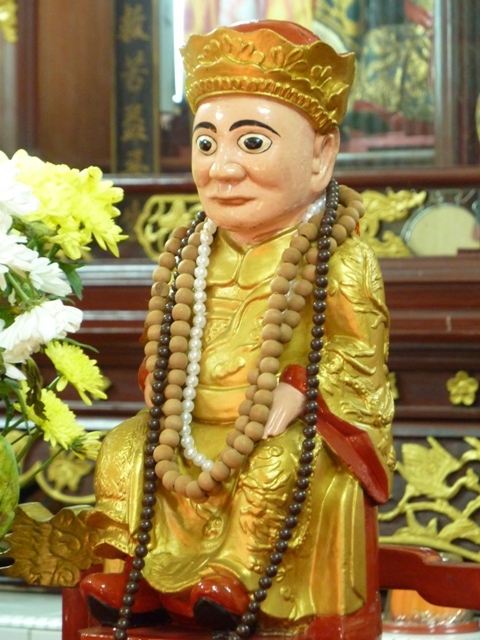 The slender young Brahmins were busy at their devotions, and a large family were there having their twin babies blessed. Part of their devotions was providing some prasadam - sacred food - for the temple-goers, and so we were invited to have the most delicious dhal while we chatted with the babies' lovely father and proud grandfather. I was surprised that we were allowed to wander around and take photographs. It was the first Hindu temple I have ever visited that welcomed this, and the whole atmosphere was friendly and welcoming. While we were there an enormous party of ederly Japanese tourists arrived and were soon snapping away happily, quiet and untobtrusove despite their numbers. 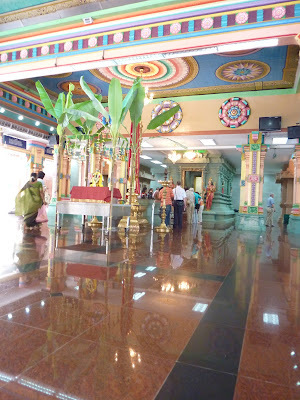 The temple was clean, spacious and cool, and elaborately decorated. I am headed straight there the minute I return to Kuala Lumpur. It is most refreshing that, in spite of all the doom and gloom that surrounds old-fashioned paper publishing, some people are still infected with the publishing bug and willing to go forth and establish new publishing houses. There is something old-fashioned and frankly charming about the folly, and I hope that anyone rash enough to do it is rewarded with loyalty and profits. The latest to embark on this quixotic adventure is a small operation from Western Australia called Margaret River Press. On Saturday evening I went along to the Sydney launch of two new publications from them: a cookbook featuring recipes from famous chefs in the Margaret River region, and a small collection of short stories called Things That Are Found in Trees. My interest in the collection stems from the fact that a dear friend of mine, the brilliantly talented Jane Skelton, has had a story published in it. Jane is a talent to watch. 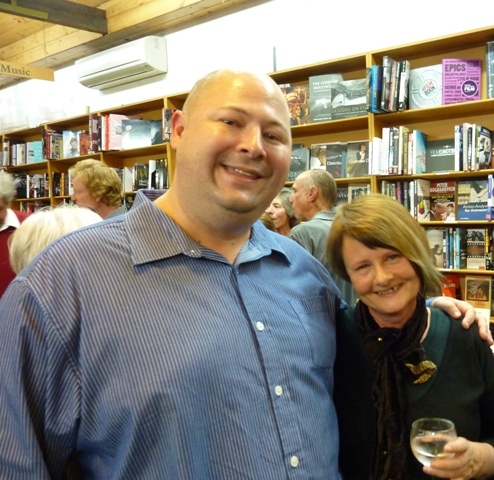 In 2010 she won the LitLink Unpublished Manuscript award, and she has a collection of short stories due out in 2013. In the meantime, get a copy of this wonderful little collection of Australian short stories and read her contribution 'The Stones'. Along with all of the other talented and diverse authors who share the book with her, of course. I did my best to visit a few Buddhist temples while I was in Malaysia, and one of my favourites was the Guan Yin Temple situated on a hill about 10 minutes walk from Petaling Street. We had made the foolish decision to walk up there right in the middle of the day, when KL is at its hottest. Once we got there I was a soaking mess, but it was the perfect place to sit down and rest for a little so I could begin to look more collected (and moderately more glamorous) once again. 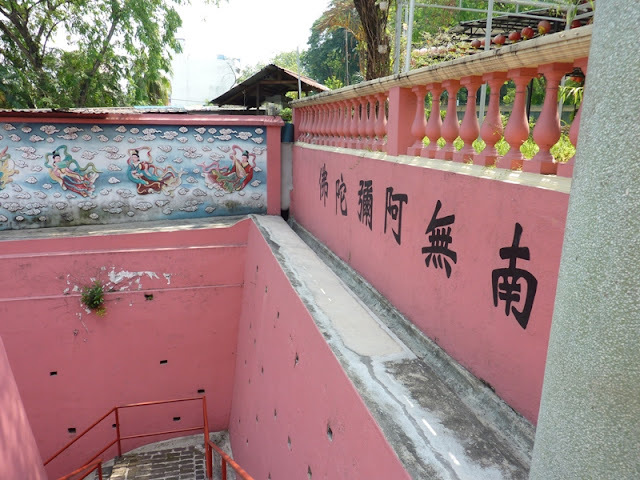 Fortunately the temple's hilly aspect means that it catches the breeze. Though quite clean and largely empty, the temple retains a bit of old-world style with some quaint statues (some of which I couldn't identify) which obviously date back pre-WW2. 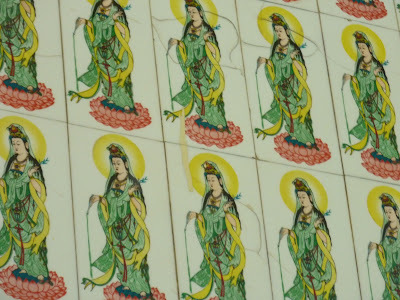 And one wall was entirely covered with Kwan Yin tiles, items I don't ever remember having seen before, but which I would love to get my hands on. 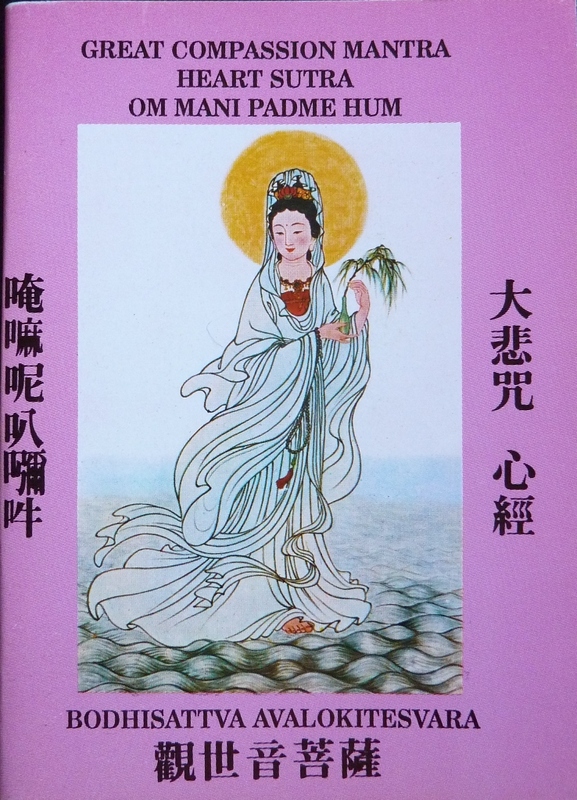 Near the door was the usual eccentric collection of Buddhist books, some in English. I grabbed a copy of the Great Compassion Mantra in Chinese and Pinyin to add to my collection. 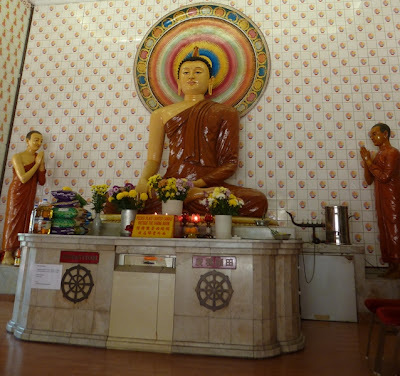 I am just back from Malaysia, and one of the most delightful places I visited while I was in Kuala Lumpur was the Buddhist Maha Vihara at Brickfields. Brickfields is just the most fabulous place, very much my kind of town. 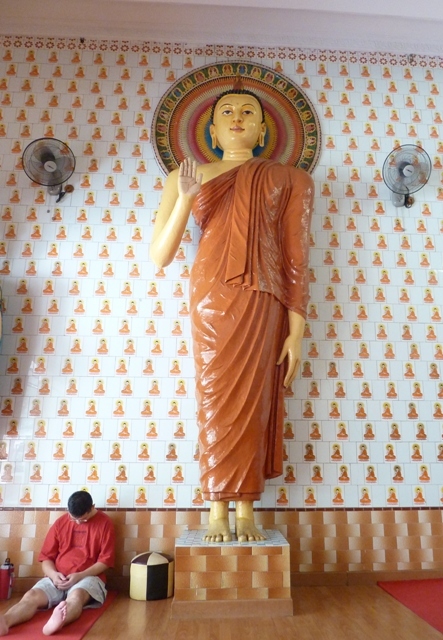 It is known as Little India, but it is filled as well with Chinese restaurants, Burmese shops and this place, a Sri Lankan Buddhist temple that caters mostly to the Malysian Chinese community and is situated quite close to the Vivekananda Ashrama.You have to love Malaysia's multiculturalism. I had been aware of the Buddhist Maha Vihara for many years, and indeed at various stages I had made plans to visit it, most notably because once a year they have a mass temporrary ordination for the Buddhist Rains Retreat season which attracts many foreign men looking to experience Buddhist monasticism in an English-speaking environment. 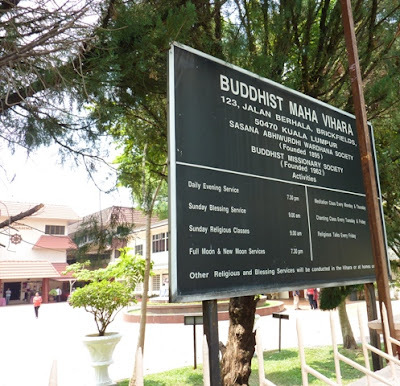 These days I don't think I could handle three months of monastic renunciation, but the Buddhist Maha Vihara is nonetheless a beautiful place to visit and to absorb some peace and calm. One fellow was experiencing so much calm that he had fallen asleep in the main shrine. We were there on a hot Sunday afternoon, and I couldn't really blame him. When I was an earnest and keen young Buddhist I used to order books and cassettes from this place (yes, cassettes were still current then - kids, ask your parents). I used to adore the little brown-paper-wrapped parcels that would arrive at my post office box in Darlinghurst, a world away from this sweet little corner of Little India. 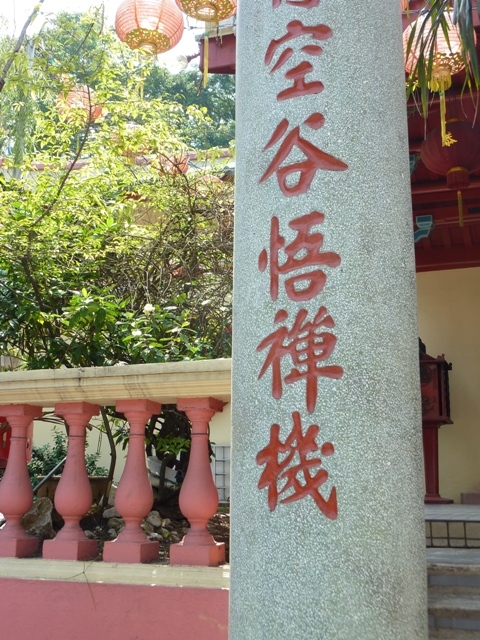 The temple still gives away a great deal of literature for free, and it is one of the reasons for visiting. There are many fascinating books available in a host of different languages, and I came away with quite a pile. Naturally, I left a large donation. 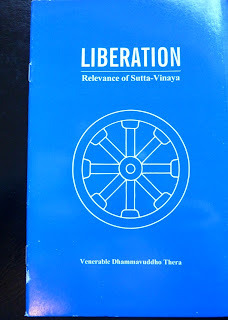 One that I have found particularly interesting is A Buddhist Reflects on Happy Living by Vijaya Samarawickama, a nicely written little analysis of contemporary Buddhism and the exact way in which karma is formed. 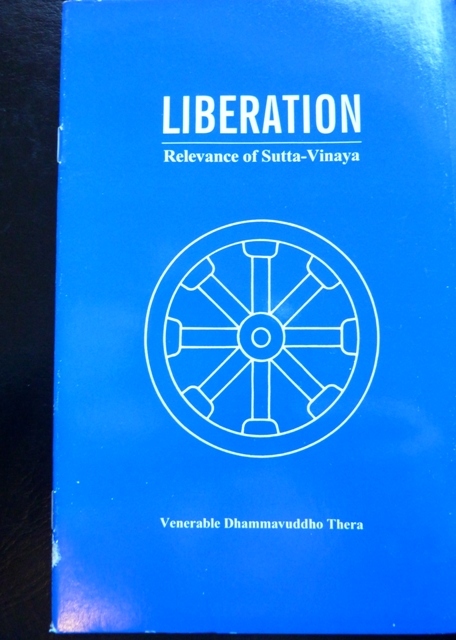 I also found a great book setting out the importance of the Theravada Buddhist sacred texts in the life of the lay-Buddhist called, Liberation: Relevance of Sutta-Vinaya by Ven. Dhammavuddho Thera. 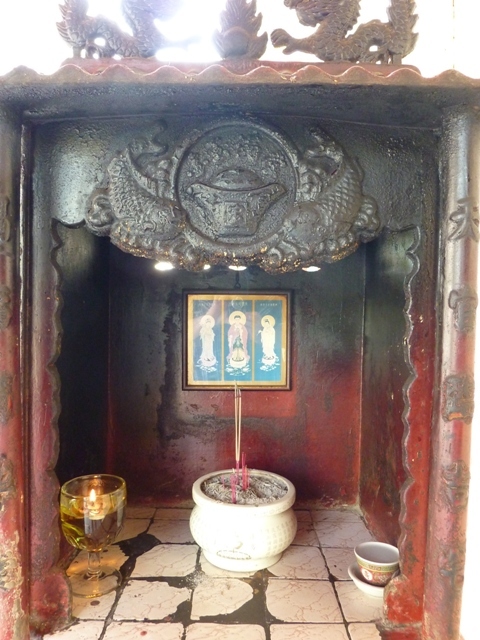 The temple complex also houses a chedi in which I found a beautiful statue of Sakyamuni Buddha that I recognised instantly as Vietnamese. 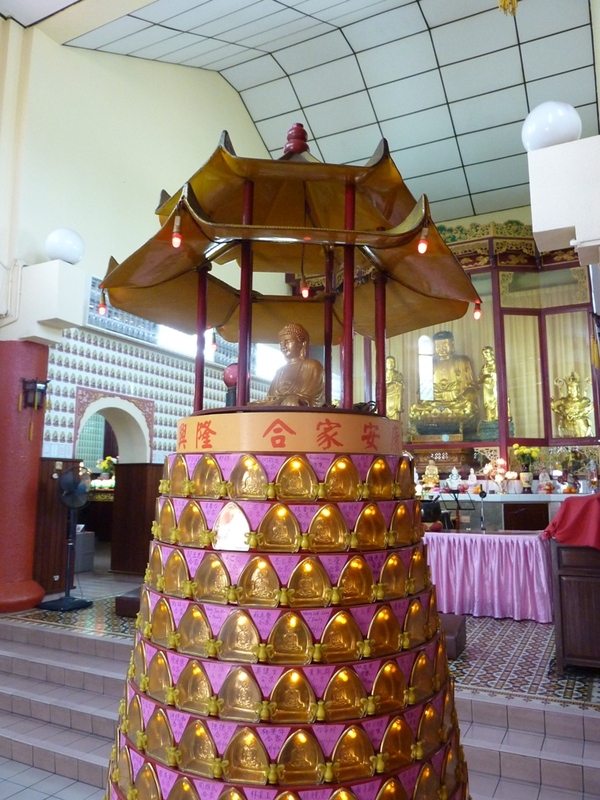 On closer examination I discovered that it was indeed a gift from the Vietnamese Theravada Sangha. 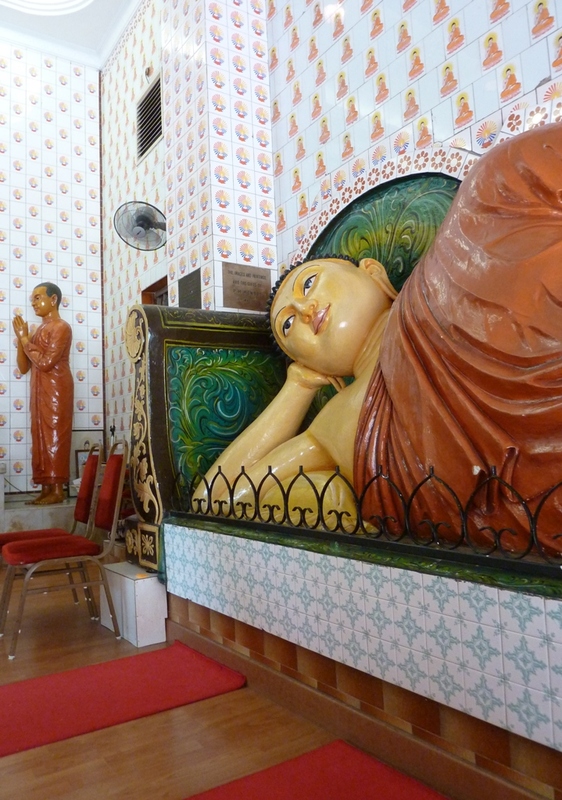 The temple is open all day every day, and offers a lovely opportunity to rest and reflect. 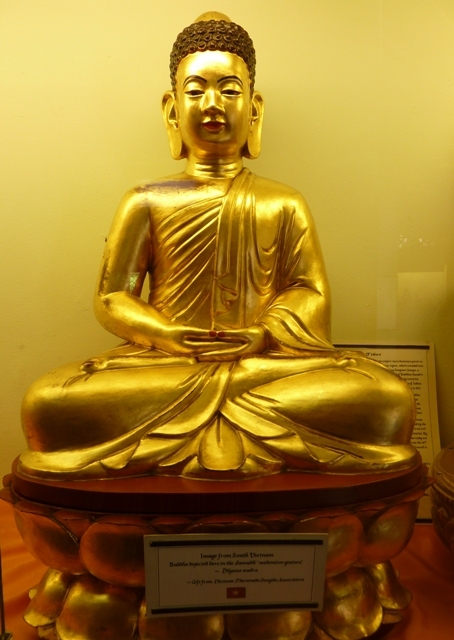 There is a large variety of free Buddhist literature available, so take the time to look through it if you are interested in learning more. The temple offers a lot of special events and talks, so check the website at or send them an email enquiring about upcoming events and try to attend one of these.